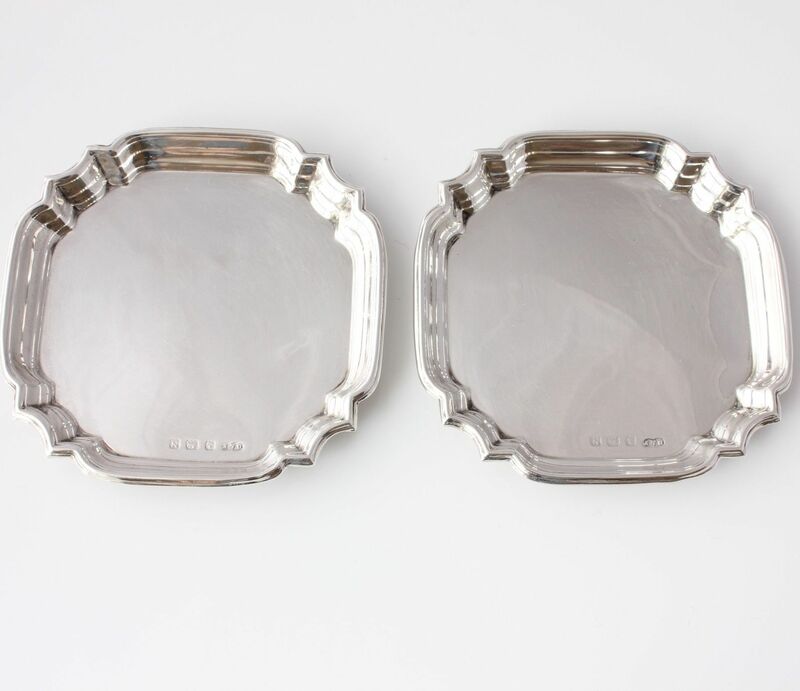 Pair of Silver Art Deco Pin Dishes. Deakin & Francis 1937. 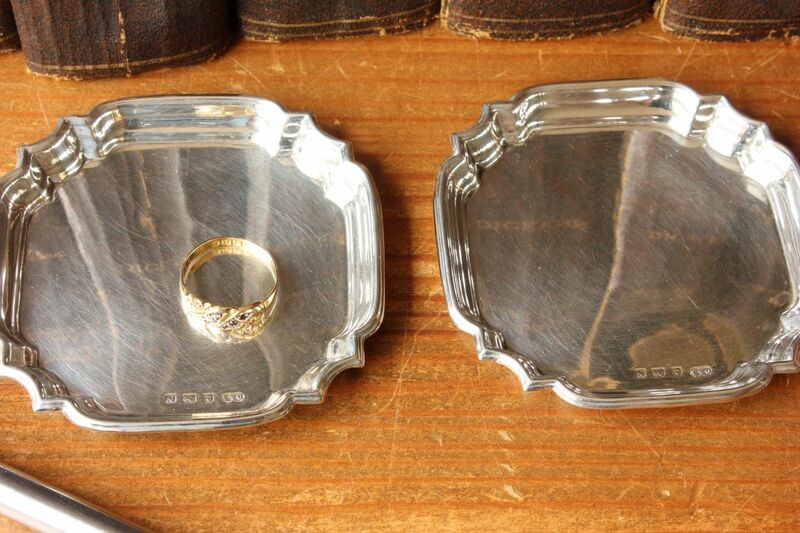 Trinket Trays. 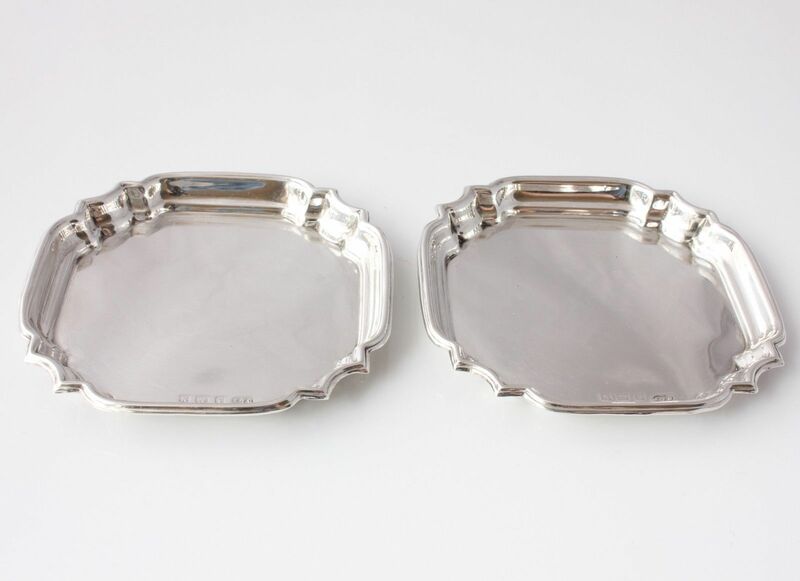 This pair of Art Deco pin dishes are crafted in sterling silver and made by renowned silversmith Deakin & Francis. 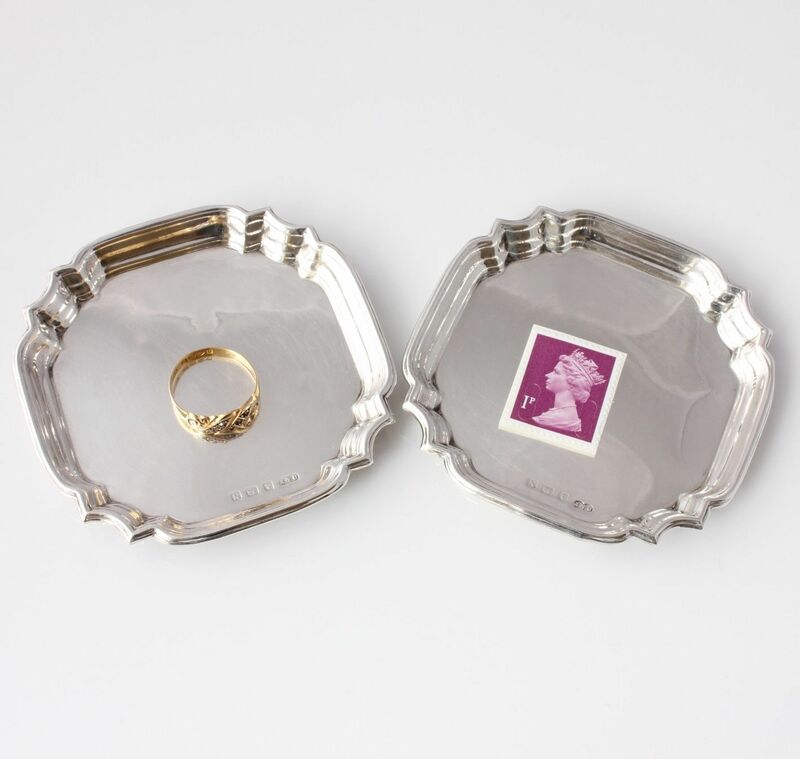 They have a wonderful Art Deco design and are both fully hallmarked for Birmingham 1937. 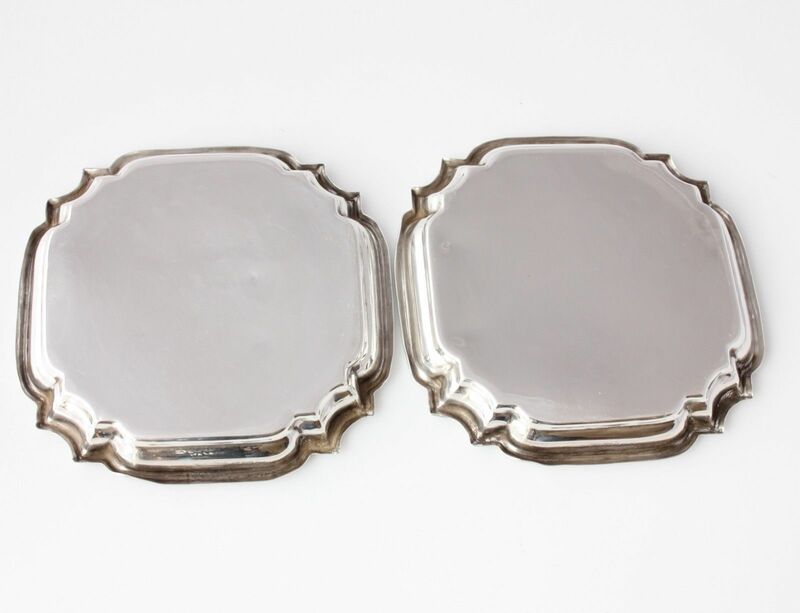 It is nice to have a pair of matching pin trays and these are in very good condition, look great on display and would make a wonderful gift. 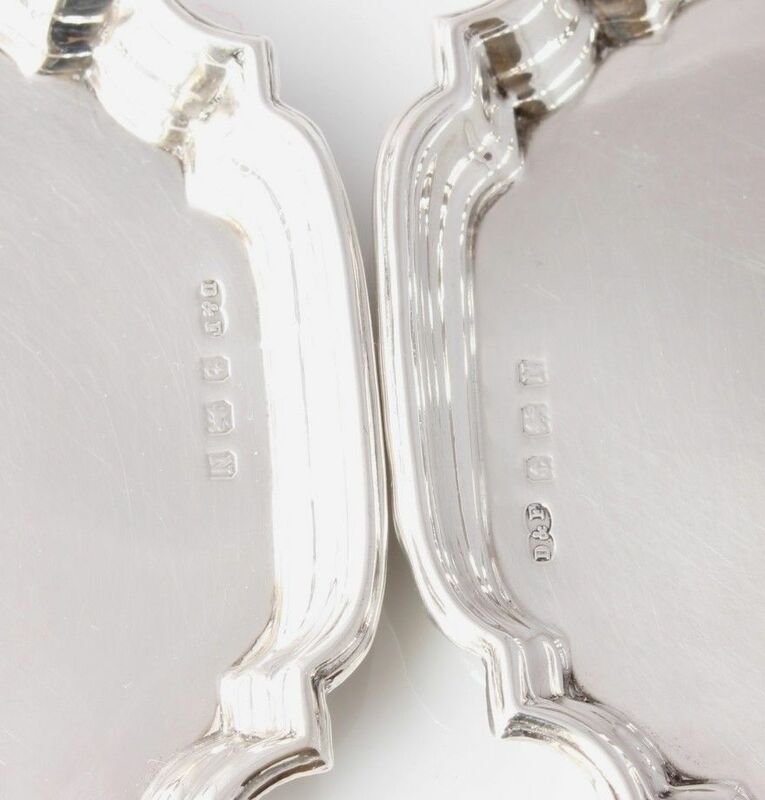 Hallmark: Both dishes are fully hallmarked with Lion for Sterling Silver. Anchor for Birmingham. Date letter N for 1937 and maker's mark D & F for Deakin & Francis. Length - 7.6 cm (3") approx. Width - 7.6 cm (3") approx. Weight: 21.86 grams and 20.93 grams. Condition: Excellent antique condition. No splits, holes or breaks. Some very light surface scratches and a couple of minute pin head dings. No monograms. Please see all pictures.